The TDSR, or Total Debt Servicing Ratio has been around in property market for more than 3 years now. And it seems like things are brightening up for the gloomy real estate market in Singapore as the Monetary Authority of Singapore (or MAS) tweaks the rules on 01 Sep 2016. 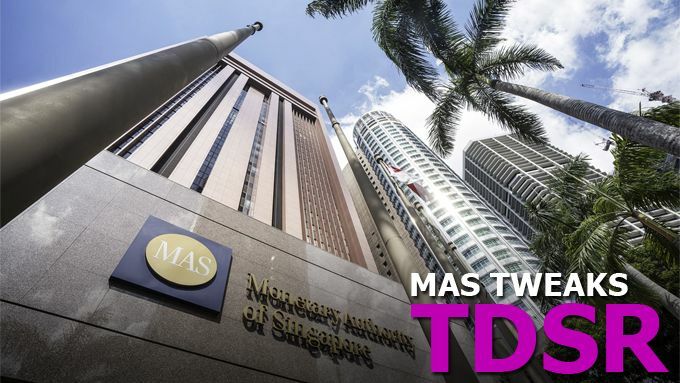 In general, the tweaks will exempt existing mortgagees from the current TDSR framework upon refinancing their housing loans with the banks in Singapore. However, things will remain the same for new mortgage loan applicants and it was noted by MAS that this move doesn’t mean that authorities are easing the property cooling measures. Previously, the exemption from TDSR was only granted for mortgagees who are refinancing loans for their properties bought before the TDSR framework was introduced during end June of 2013. Whereas after this tweak, if the property is occupied by the mortgagee (who is also the owner), the TDSR framework will not be applicable for such refinancing cases. Another adjustment made was that borrowers may refinance above the threshold set under the TDSR if they commits to a debt reduction plan, which comprises a repayment of minimum 3% of the outstanding loan balance over a period not exceeding 3 years. Financial experts has given their thumbs up for this rule tweak and mentioned that it will help to reduce the financial burden for owner-occupied residential properties. The group who are likely to benefit the most from this adjustment are those who are unable to refinance due to the earlier restriction and are suffering a drop in their household income. Due to the weak economic outlook, it could also weaken most homeowner’s ability to refinance their current mortgage as retrenchment and salary cut looms across various sectors such as oil & gas, and financial industries. It will then be very likely that most owners won’t be able to cope with such financial commitment under the old TDSR framework and may result in them being forced to sell their properties in the current down market, or even put up for mortgagee sale. Thus, It was also noted that this move couldn’t be more timely as it will help ensure the property market in Singapore remains stable.